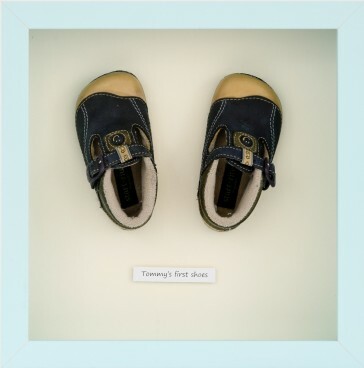 A childs first shoes hold such precious memories but they often end up out of sight. Mounted in a frame, early shoes are a continuing source of joy and delight but framing shoes is a specialist craft and high street framers will charge handsomely for this service. Because Memory Makers are specialist framers, we can expertly present your cherished shoes at a fraction of the price of a high street framer. With a choice of four frame finishes, this is a beautiful way of preserving some cherished memories of their first small steps. 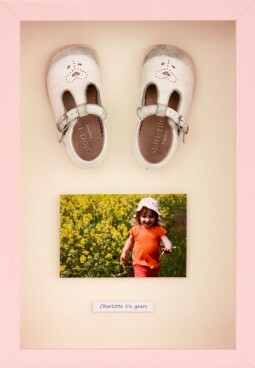 You can have your favourite photo mounted alongside your shoes.